I know! I know! Two Reese’s recipes back-to-back – what am I thinking? 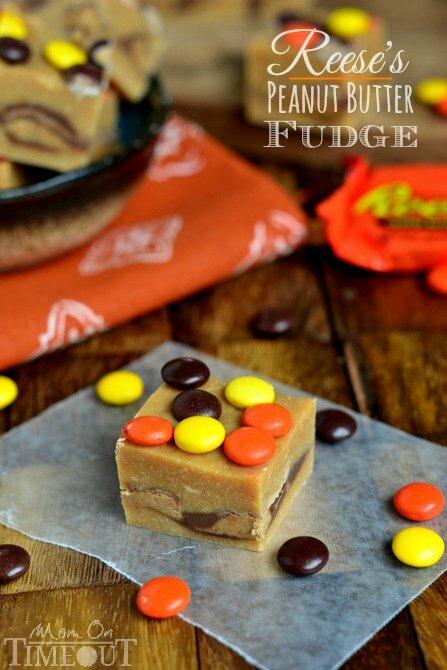 Just that I love you 🙂 You are absolutely going to ADORE how easy this Reese’s Peanut Butter Fudge is to make! It takes all of 5 minutes and ohmygoodness! FUDGE! This is the first time that I’ve made Reese’s PEANUT BUTTER Fudge. For some reason, in the past I’ve always made it a chocolate fudge with Reese’s in it. 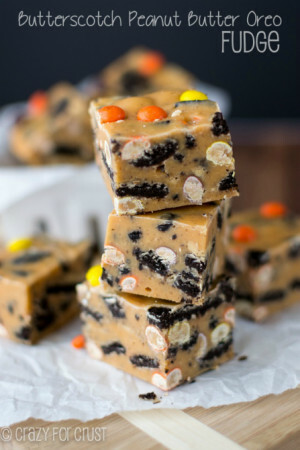 A couple of weeks ago it occurred to me that I was totally, TOTALLY missing an incredible opportunity to add even more Reese’s flavor by making a fudge that was made out of Reese’s peanut butter chips! Genius, right? 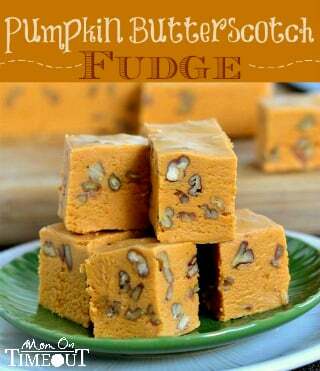 This fudge is made with a very short list of ingredients that you are really going to appreciate. 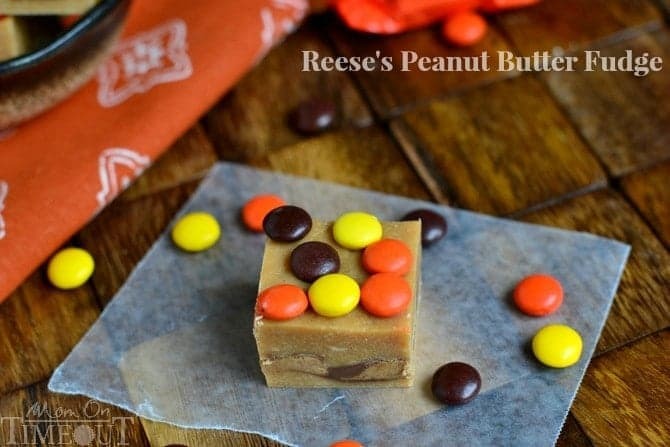 In fact, if you’ve been hoarding saving any leftover Reese’s from Halloween – this is the perfect recipe to use them in! 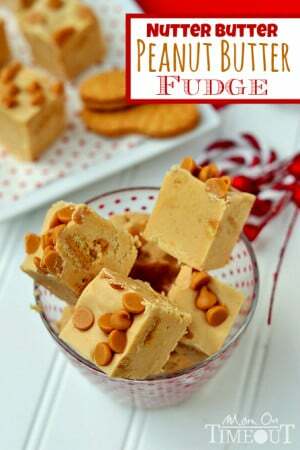 Your peanut-butter loving friends and family will go crazy for this fudge – you might just want to make two batches! Line an 8x8 baking dish with foil. Lightly coat with cooking spray. Melt peanut butter chips and sweetened condensed milk in a heavy saucepan over medium low heat until fully melted. Pour half of the mixture into the prepared dish. Nestle the peanut butter cups into the fudge. Spread remain half of fudge mixture over Reese's peanut butter cups. 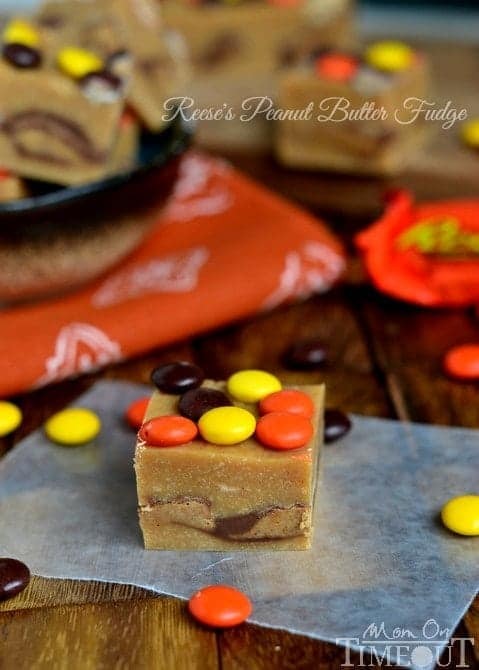 Sprinkle Reese's Pieces on top and press into the fudge with the palm of your hand. 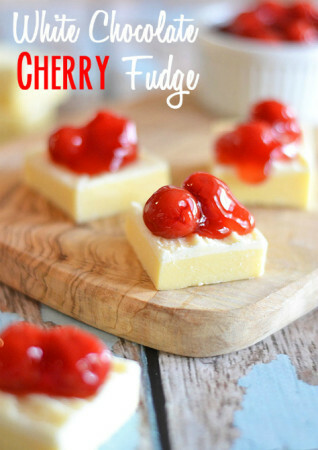 More fudge recipes for you! I made this today, but I am not sure it I did it correctly. It was really hard to stir and never got creamy. Did I do something wrong? The mixture is a little thick but it shouldn’t be hard to stir. Did the peanut butter chips melt fully? Hey there, same issue. Texture was more like cookie dough. I figured maybe it needed to be over the heat longer but it maintained the same consistency and then just started to get really oily? Definitely couldn’t pour it out of the pot, had to cut it in half and place it in the dish. Any idea what may have gone wrong? Same issue happened with me. The peanut butter chips really didn’t melt to a way to “pour” into the dish. I started to put 1/2 of the batter into it and realized it wasn’t supposed to look like that. I added it back to the pot and grabbed another can of sweetened condensed milk and added about 1/2 of that. It definitely helped but not to the consistency it probably should have been. I wonder if I should have add the chips a little at a time versus the two bags all at once. Oh my YUM, Trish… this looks so indulgent and yummi! What are the Reese’s chips? The cups or are these something different?